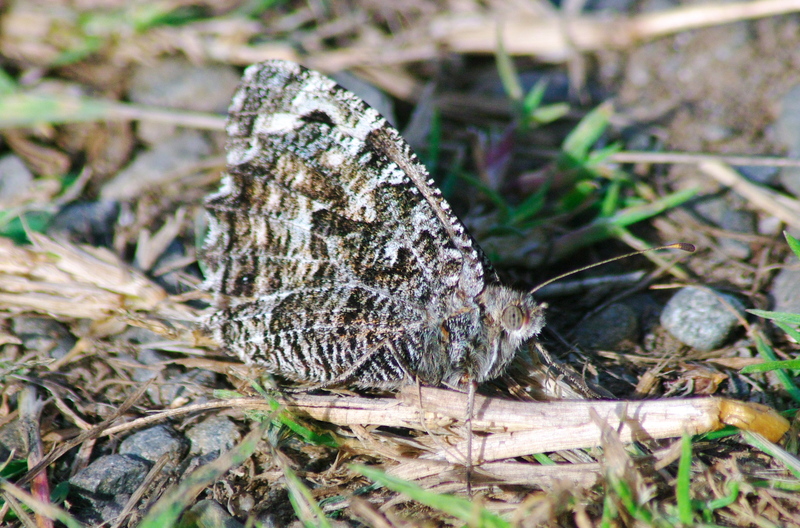 Mull of Galloway - Blog Blast off! The Mull of Galloway Trust that runs the lighthouse exhibition and tours have restored the foghorn and its engines and were sounding it each Sunday at 1pm but that was halted during the breeding season as we were concerned that the kittiwake that breed immediately below the foghorn could be spooked and eggs or chicks lost. 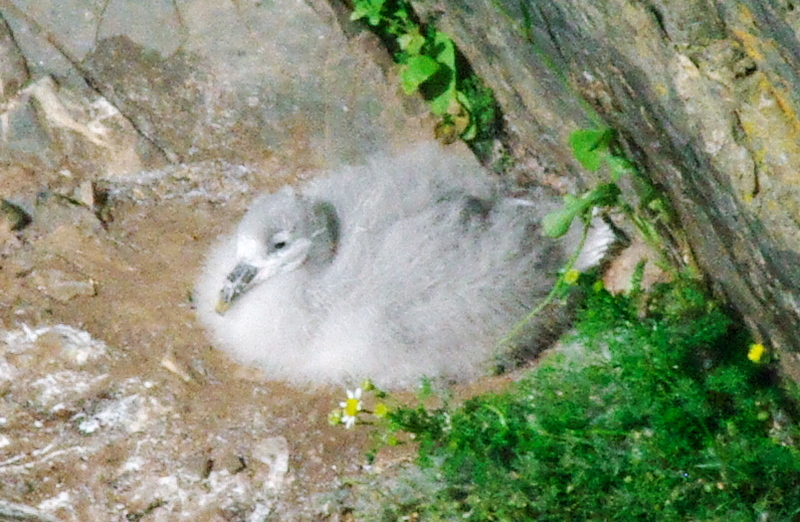 This week the kittiwake chicks have fledged and the blasting of the foghorn has resumed every Sunday. 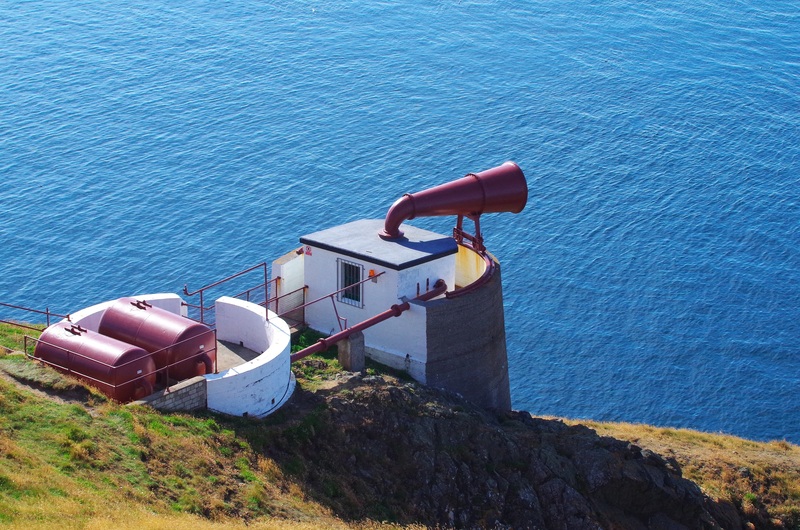 Click here for more information about the foghorn blasts and engine demonstrations. The kittiwake will remain around for a few weeks yet before departing for the open sea until they return next spring. Gannet are still a regular feature and many juveniles can now be spotted among the groups of adults that can be spotted flying to and from Big Scare. Black guillemot remain around all year and can often be spotted from Lagvag. Shag that also remain on the cliffs all year can easily be found all around the headland. Just of the reserve fulmar chicks can be found with a keen eye on the higher cliffs. As fulmar chicks grow and reach around five weeks both parents will go off and search for food while leaving the chick unattended. By that age the chick is able to fend off most predators by projectile vomiting foul smelling fishy oil from its stomach in the direction of any threats. Manx shearwater are frequently spotted flying in groups low over the water entering or leaving Luce Bay and the occasional razorbill or guillemot can be spied by keeping an eye out into the Irish Sea. 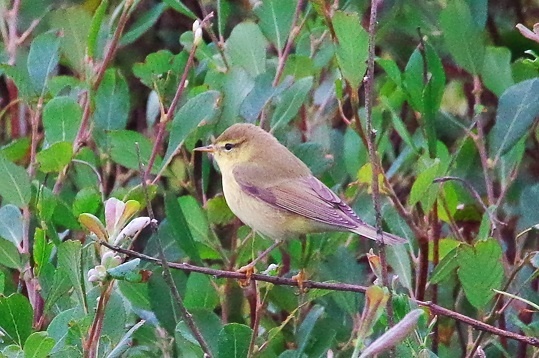 Willow warbler are regularly spotted in the willow bushes and mixed flocks of goldfinch and linnet with many juveniles among them can be found flitting among the heather which is now coming in to bloom, turning large areas of the reserve purple. Stonechat can normally be found in their usual haunts, the gorse bushes or willows and pied wagtail are frequently seen around the lighthouse. Wheatear numbers on the approach to the reserve in the mornings seem to be increasing with many small groups being spotted along the roadside and fences. Kestrel have been seen being mobbed by house martin and swallow and raven have been seen around Lagvag. Meadow brown, grayling, small copper, green veined white, small white, large white and red admiral butterflies have all been recorded this week as has a roe deer with fawn, grey seal and porpoise.